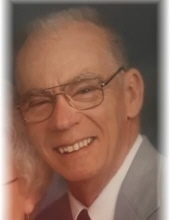 Charles H. Wolford, 81, of Bowling Green, Ohio passed away October 31, 2018. He was born September 29, 1937 in Campbellsville, Kentucky to Frank and Norene (Collingwood) Wolford. He married Claudell McDonald on August 20, 1966 and she survives in Bowling Green. Charles was a graduate of Firelands High School and went on to attend BGSU. He served his country proudly in the United States Army. He was the owner of C & C Fabrication in Bowling Green, retiring in January of 2018. Charles served as a Bloomdale volunteer fireman and Bloomdale councilman. He was a member of the Maumee/Bowling Green Elks Lodge 1850 and Turtle’s Pond #1. Along with his wife of 52 years, Claudell, he is survived by his children Michael McHaffie of Waterville, Ohio, Mark (Marcia) Wolford of Portage, Ohio, Kathy (Robert) Wagner of Findlay, Ohio, Patti McHaffie of Houston, Texas, Connie Tittsworth of Houston, Texas, Becci Johnson of Alpharetta, Georgia, Anne (Steve) Hilbert of Jasper, Georgia and Cindy (William) Witzler of Bowling Green, Ohio. He is also survived by his brother Allen Wolford of Buffalo, Minnesota, 15 grandchildren and 23 great-grandchildren. Visitation will be held on Sunday November 4, 2018 from 1:00 to 5:00 p.m. at Dunn Funeral Home, located in the Historical District of Bowling Green at 408 West Wooster St. An Elk’s Service will be held at 5:00 p.m. Sunday at the funeral home. His funeral service will be held on Monday November 5, 2018 at 11:30 a.m. at the funeral home. Pastor Dale Schaefer will officiate. Interment will follow at Oak Grove Cemetery in Bowling Green where Military Honors will be rendered by the Wood County Honor Detail. To send flowers or a remembrance gift to the family of Charles H. Wolford, please visit our Tribute Store. "Email Address" would like to share the life celebration of Charles H. Wolford. Click on the "link" to go to share a favorite memory or leave a condolence message for the family.